Whether it is our secret desire to live vicariously through our kids or something we do to alleviate the anxious anticipation of our baby’s arrival, there is a lot of satisfaction to be found in selecting the perfect accessories for the nursery. Here are the clever and beautiful finds that caught your fancy in 2014. 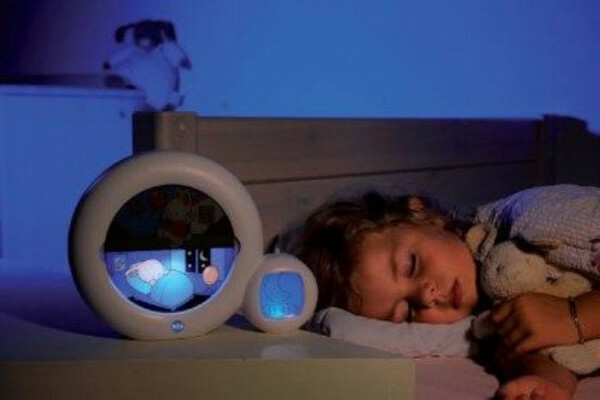 A full night’s sleep is worth more than gold for parents of young children and the Roger Armstrong Sleep Trainer (pictured above) is one product I wish I knew about for my babies. This next generation of Babyologists should be set though, it was one of our most popular nursery finds this year. Beds are no longer just a place to sleep but a source of adventure and creativity. The selection of incredible children’s furniture from Oliver Hayden had us all dreaming up a nursery makeover for our special little people. There are some seriously ingenious ideas out there and StayPut bed sheets are one that would make a very practical addition to many a toddler’s room. Keep kids in bed and warm all night long. Minimalist Scandinavian design is a favourite of our Babyology readers and the range of baby furniture from Charlie Crane hit all the right buttons. The Levo baby rocker would suit any room and I love the space saving idea of the Noga changing table. 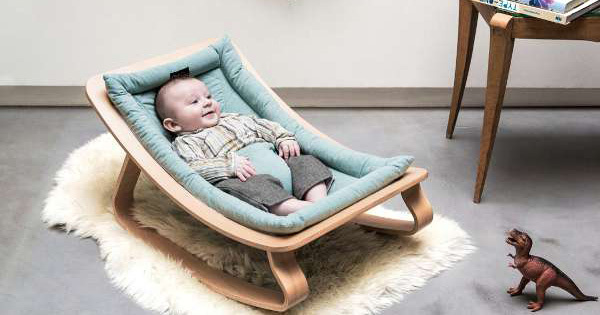 2014 was the year for retro-inspired baby products. 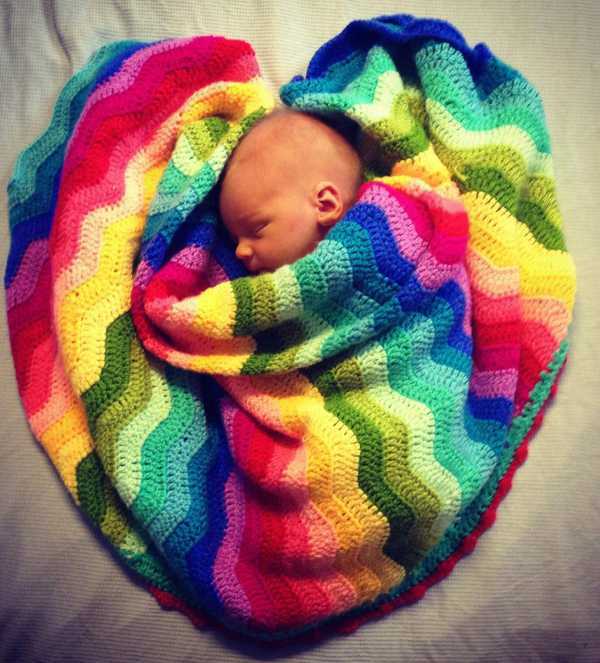 These beautifully crocheted baby Ripple Blankets hit just the right mix of super soft comfort and modern style with a variety of coloured chevron prints. The Boon Naked 2-Position Baby Bathtub caused quite a stir when it debuted on Babyology a few months ago. We were all in awe of this space saving (and back saving) idea and it is no wonder – not only is it adjustable to suit your baby’s age, it can collapse for easy storage. The arrival of the Kaylula Nursery Collection in Australia was big news. 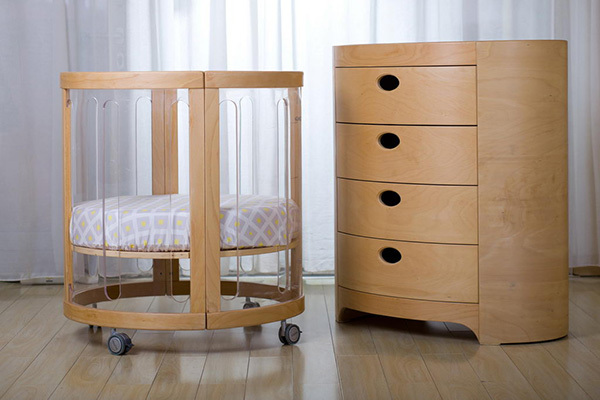 We can now get in on the trend of beautifully designed, multipurpose baby furniture. Because, if you’re going to spend money on designer furniture, you want to get your money’s worth and enjoy it for as long as possible. Multipurpose furniture is definitely where it was at in 2014. 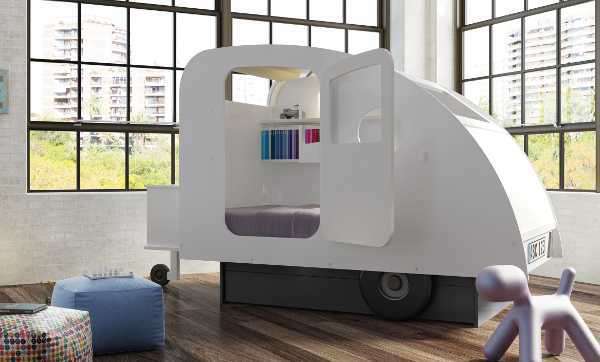 You all loved the versatility of the Plyroom all-in-one cot, toddler bed and desk. This exciting piece of nursery furniture doesn’t need a conversion kit and comes in an easy-to-put-together flat pack. Our readers loved the Baby Studio Swaddlewrap that we featured in February – especially the fact that an affordable and adorable wrap and swaddle solution could finally be found at a major retailer. Last but not least was our post about Country Road’s new kid’s homewares and latest bedding collection. 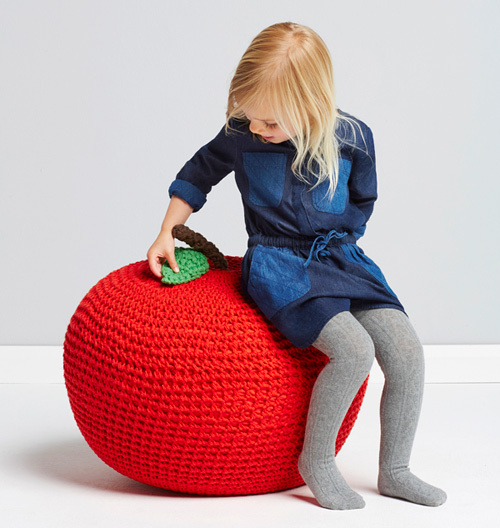 The range from the iconic brand had us mentally redecorating our kids’ rooms with their knitted fruit cushions quickly became the apple of our decorating eye.